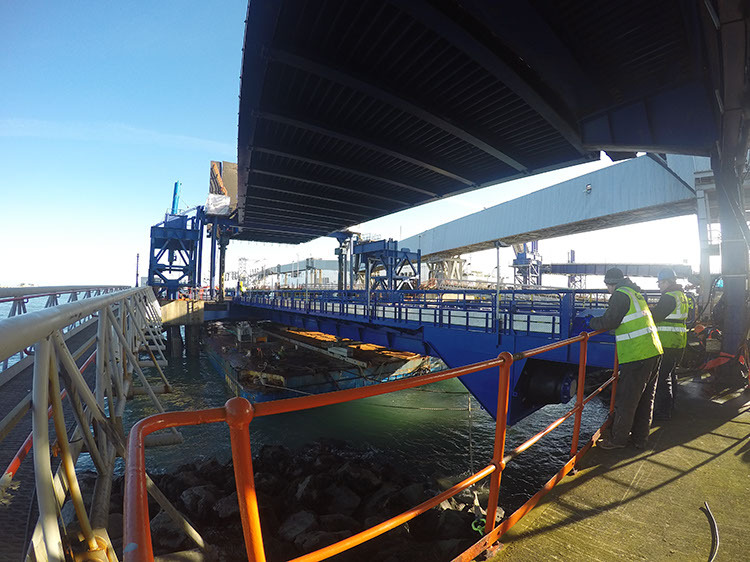 New lower linkspan was built in Gdynia on Dokowe quayside. 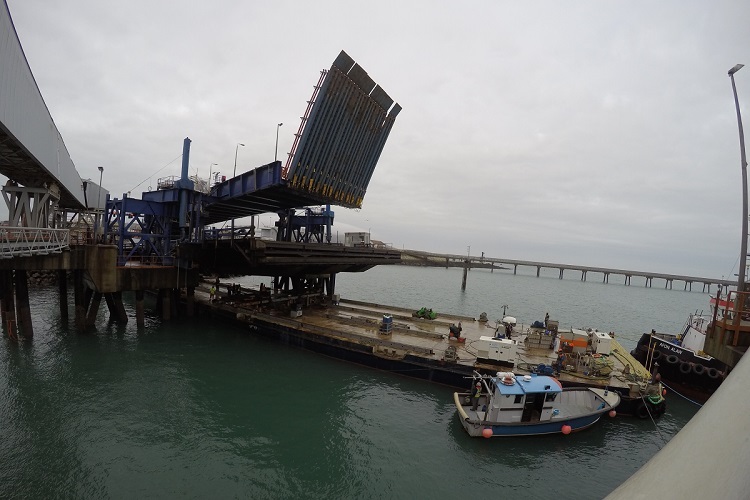 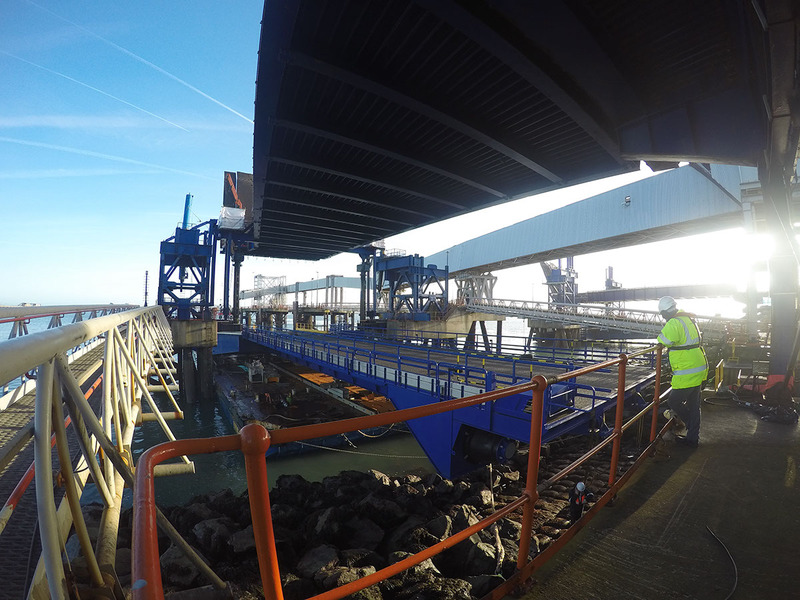 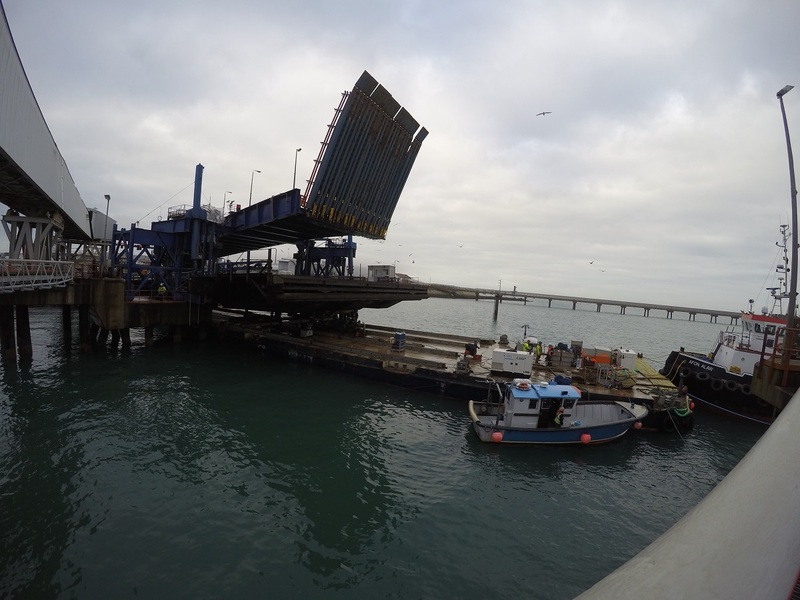 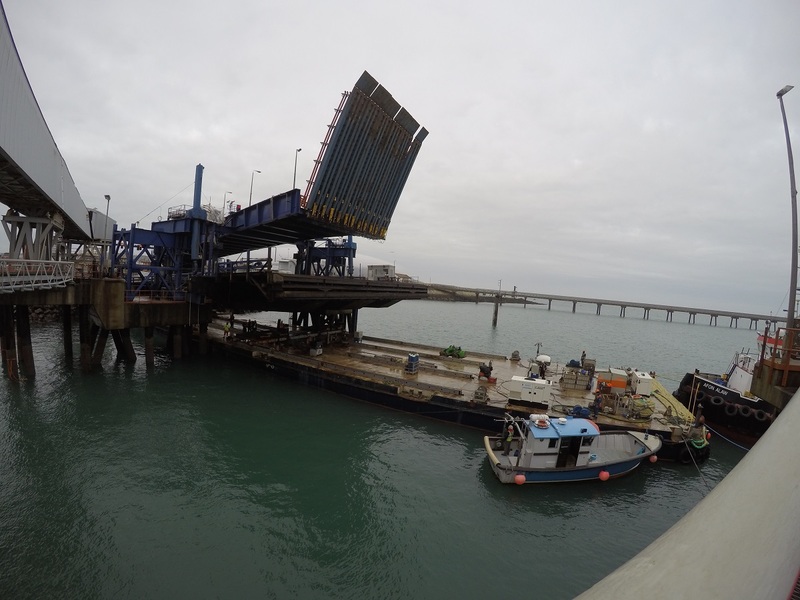 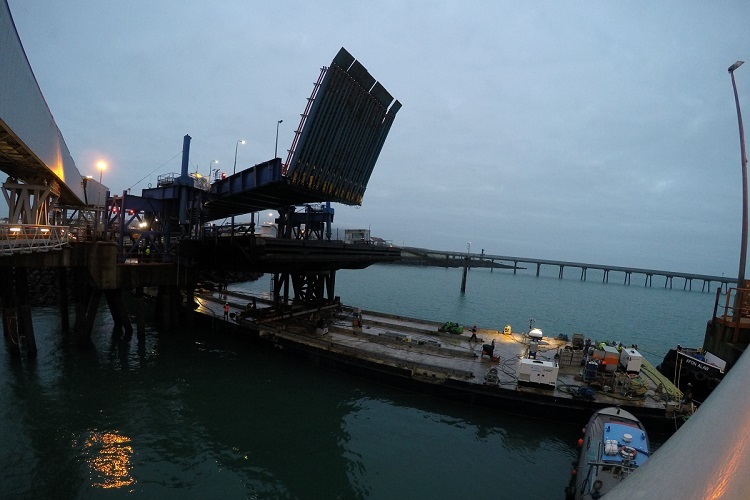 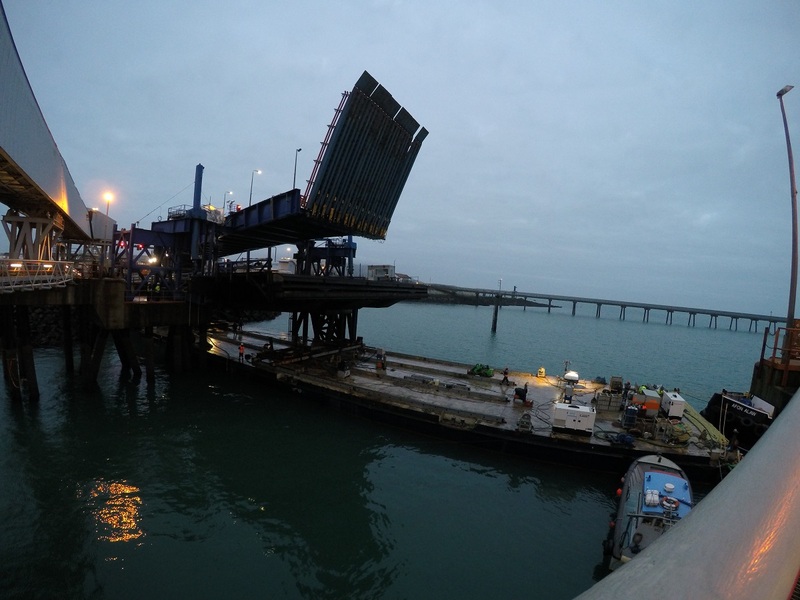 First stage was to load out construction onto barge SW6118 (61x18x4,5m) by means of Trend skidding system. 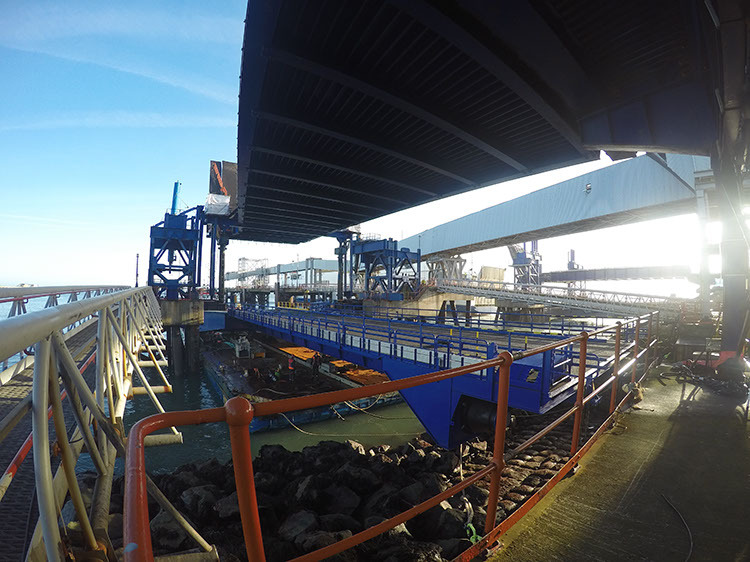 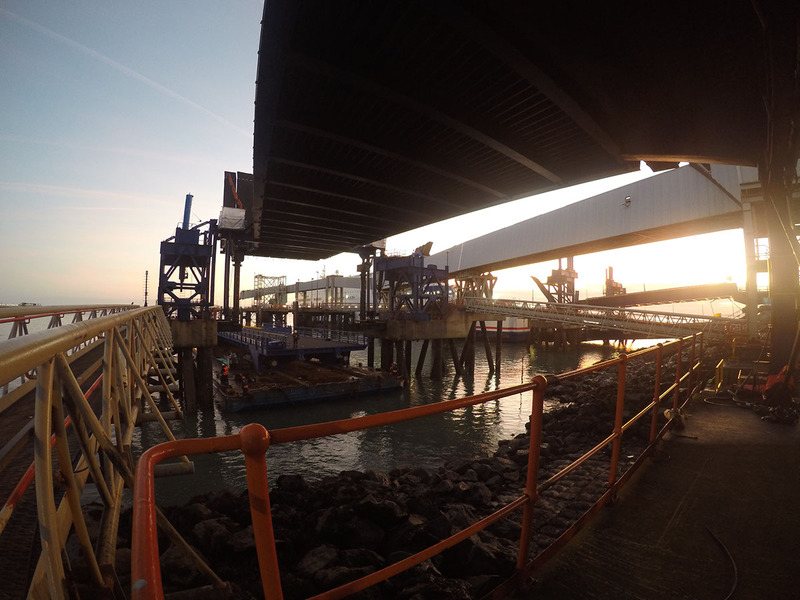 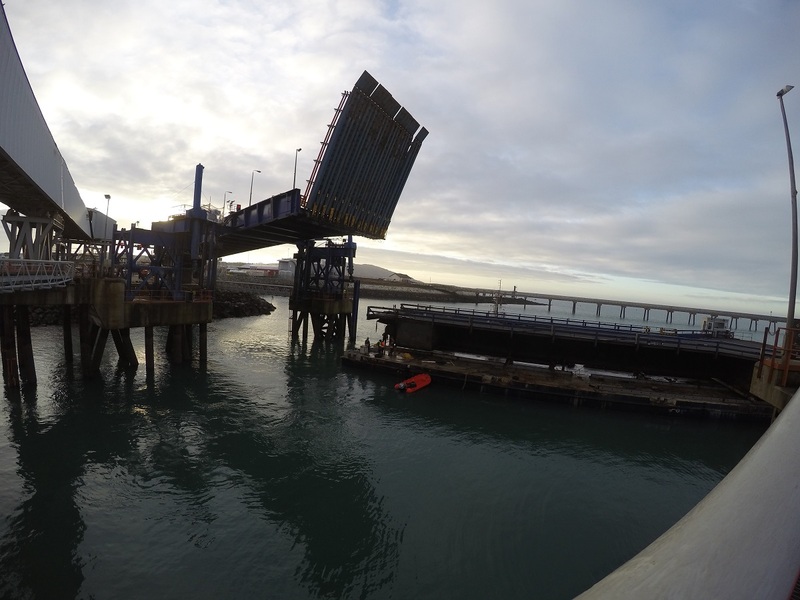 Then, linkspan had to be seafasten on barge for a long journey to Holyhead in Wales. 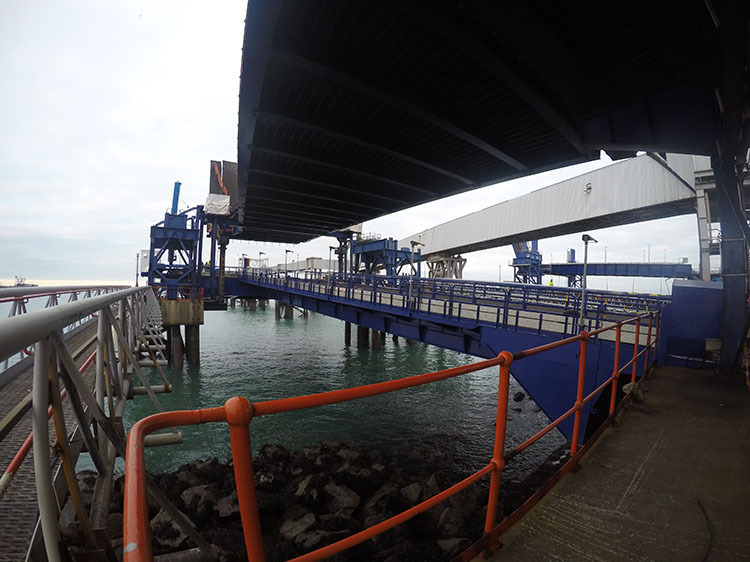 This is strong tidal affected area. Tides in winter seasons can reach even 5m in 6 hours period. 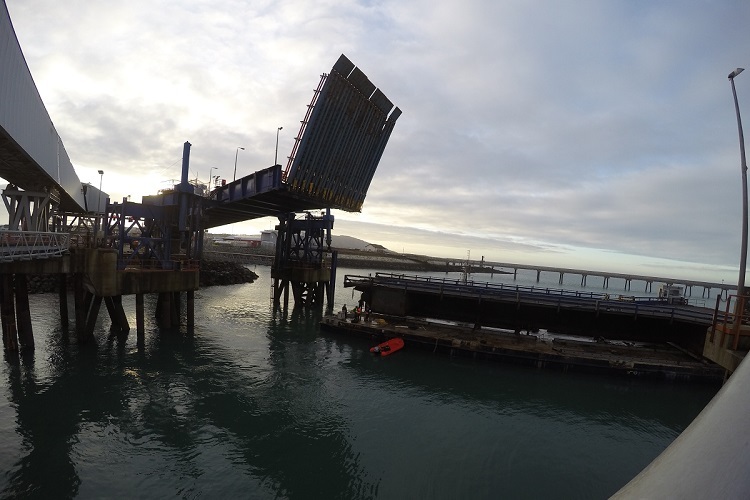 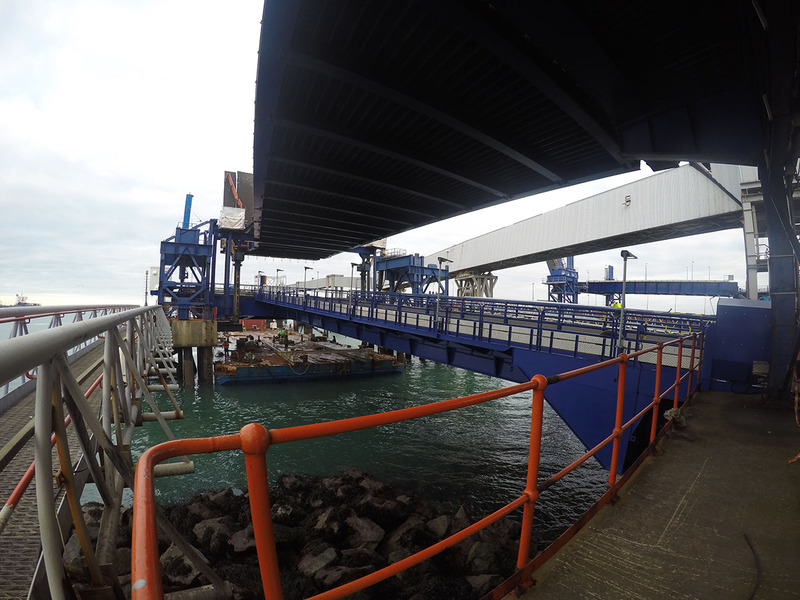 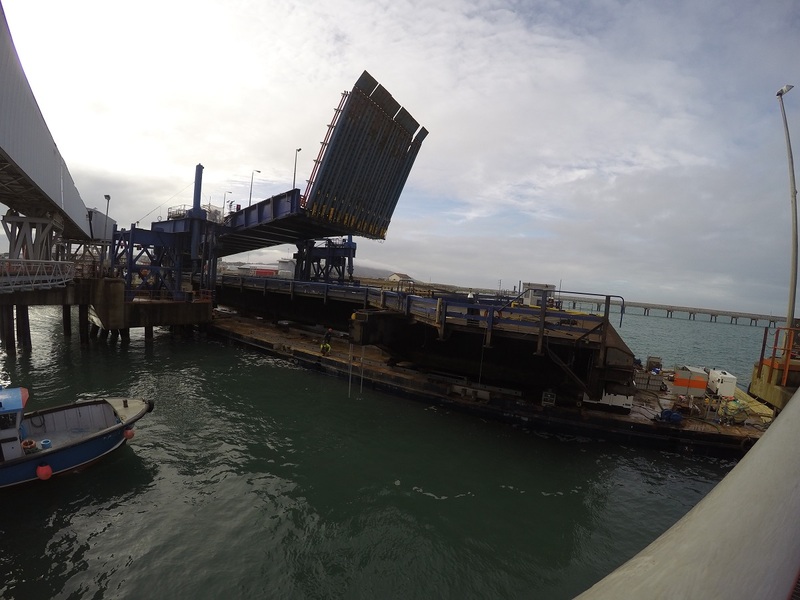 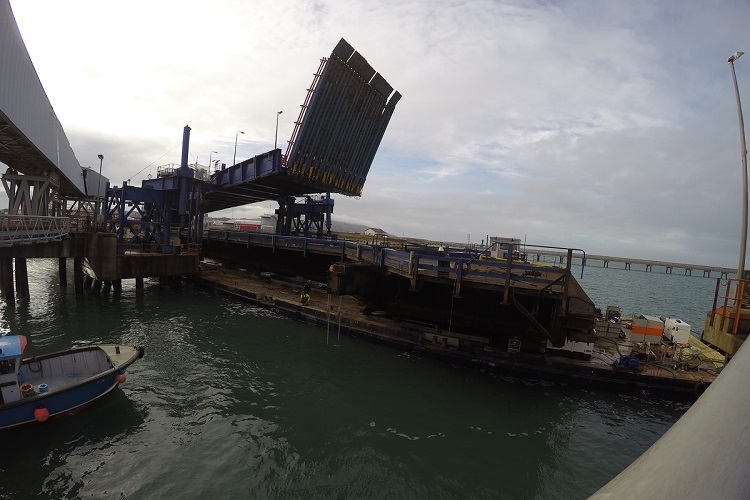 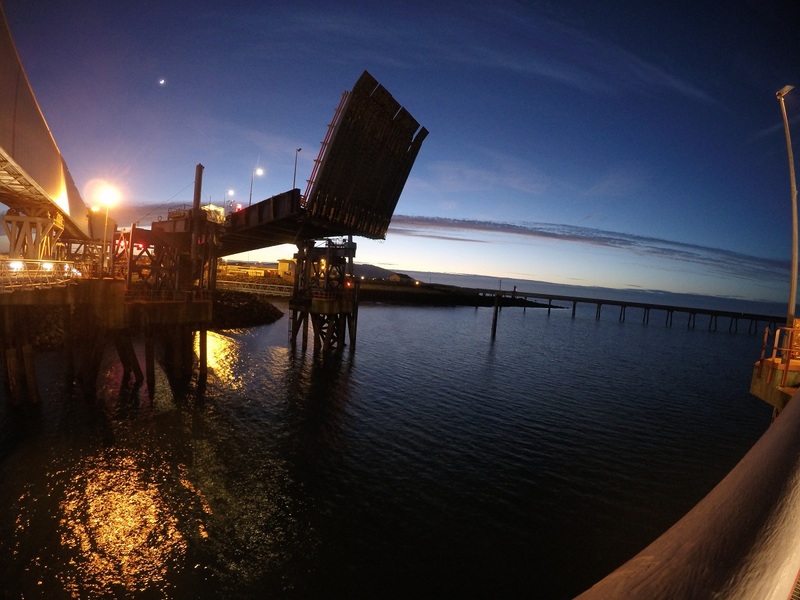 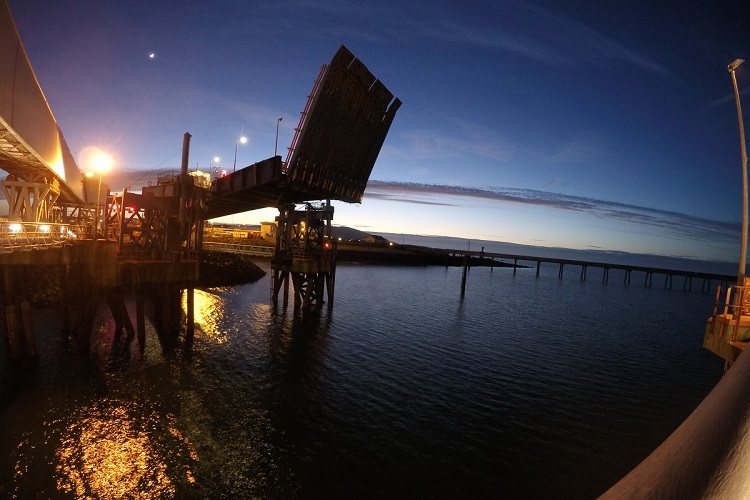 Due to that fact, prepared empty Svitzer barge was shifted underneath the Old linkspan during low water. 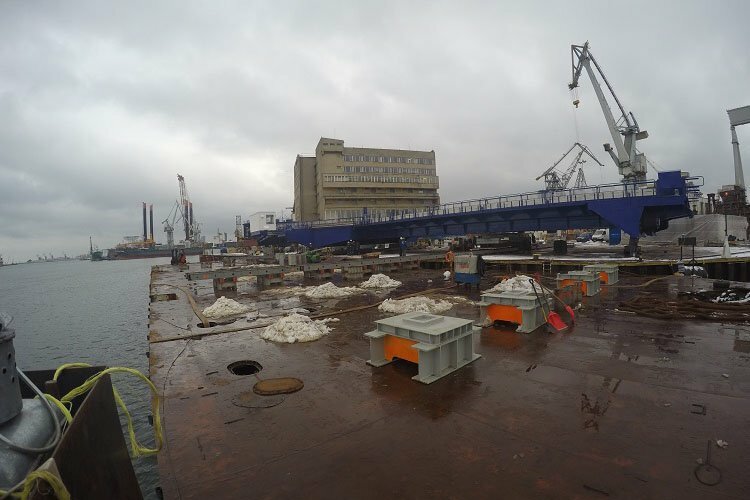 While water was rising up, barge was shifted continuously toward bankseat to reach optimal position for supporting the whole construction. 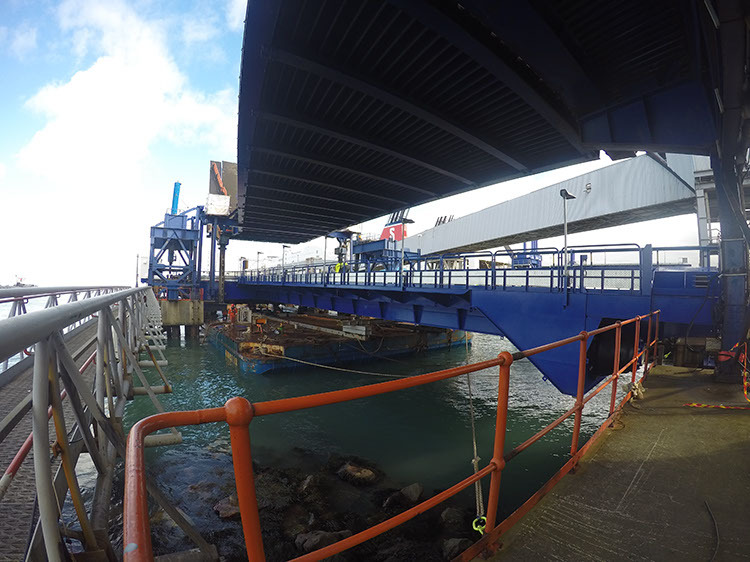 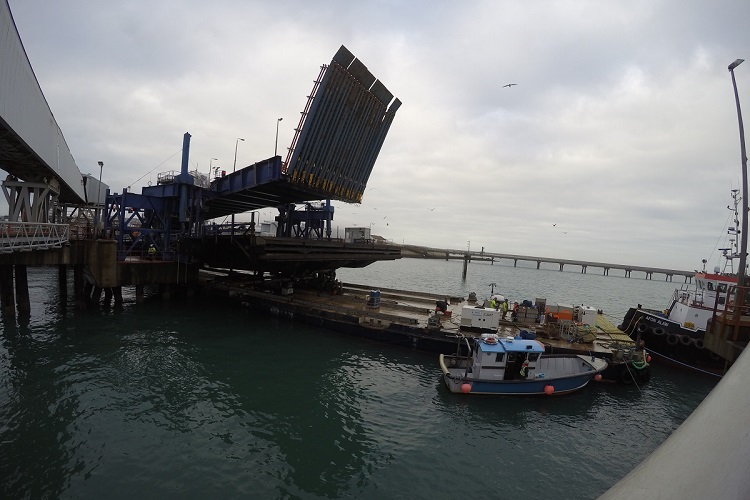 Finally, old linkspan was taken up by barge and skidded alongside onto middle of the barge to decrease overhang from fore of barge. 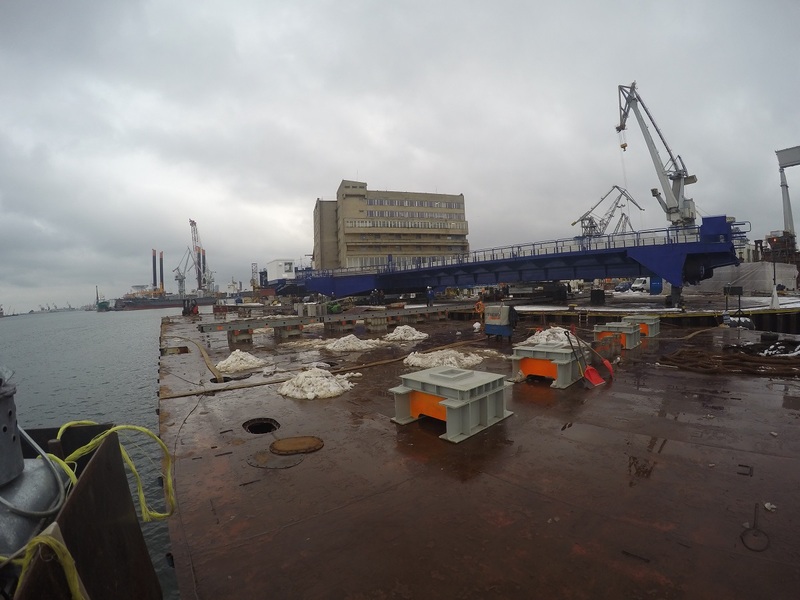 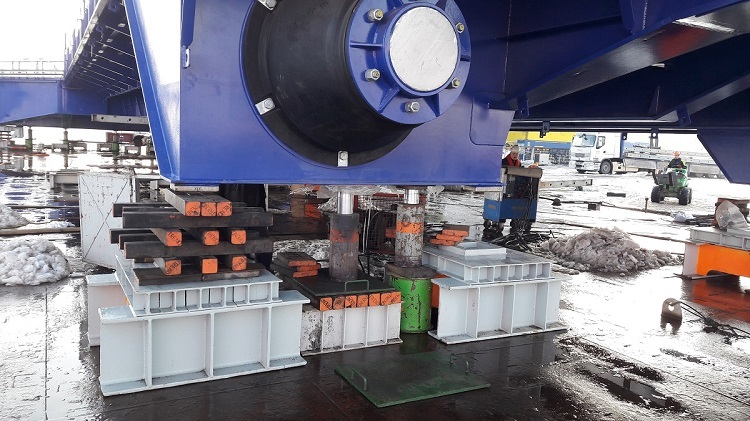 After successful removal operation, new linskpan installation was performed in reverse order.